Mystery uncovers for Vallianz’s trading halt. It announced on 17 Jun that it plans to raise S$52.2 (US$41.83) million by issuing 400 million new placement and subscription shares. 170mil subscription shares - Legend Financial Limited, Golden Summit International Limited, Zymmetry Investments Ltd, ICH Partners Limited and ICH Invest & Trade Ltd.
Shares will be issued at S$0.13545 apiece - a 10% discount to the weighted ave. price of S$0.1505 a share prior to trading halt last Thursday. After deducting expenses of S$2mil, S$52.2mil will be raised. 70-80% of proceeds will be used mainly to expand its fleet, and the remainder for general working capital. If the 400mil shares are fully subscribed for, share capital will increase from 2,123,578,789 to 2,523,578,789 shares i.e. 15.85% of the enlarged issued share capital of the Company. Refer announcement here. 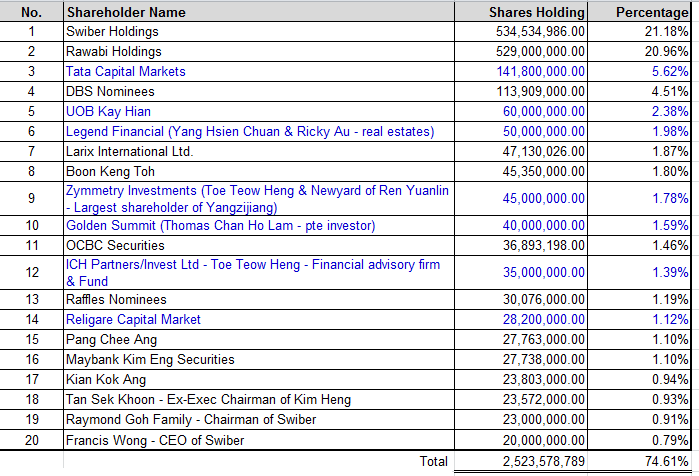 Below new shareholdings in "blue" compiled but excludes any option shares issue to Vallianz CEO/Employees and Swiber Chairman after End 1Q2014. Unfortunately it comes at a discount of 10% instead of premium of market pricing. Nonetheless, I think it is a better way of raising funds compare to "rights issues to public". Raising funds through Institutional participation is more convincing than raising funds via public because it signals the confidence in the the sector outlook as well as the growth prospect of the company. Dec 13: Established a US$500 million Multicurrency Islamic Trust Certificates Issuance Programme. Feb 14: - Completed issuance of US$35.2 million RCCS and US$22.0 million options to strategic equity investors. Rawabi subscribed all options while Swiber subscribe US$12 million of the US$22.0million. Jun 17: Share placement raising S$52 million. Vallianz Holdings- More Growth to Come? what do you abt vallianz after the placement? Thank you for the comments. Appreciate if you can also subscribe to the notification of my posts by email. 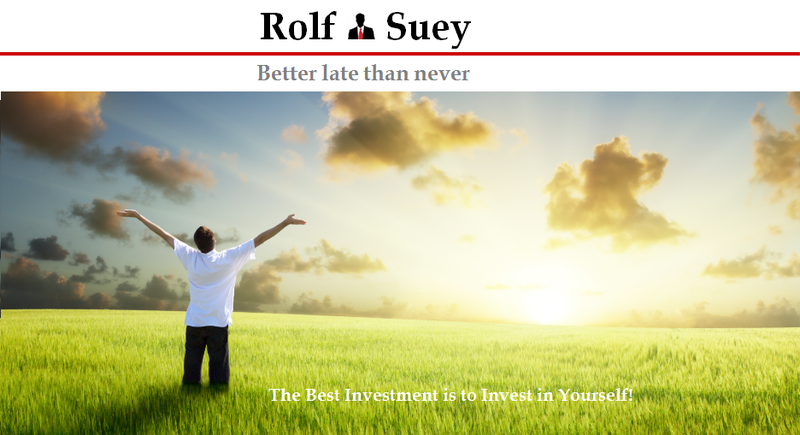 Not all are gifted with the necessary timing, funds, and personality requirements which can make up a professional trader. quite happy with the results they achieved.More information on cbdforanxiety on cbdforanxiety.org.